It was a mere cake walk for India as Virat Kohli and Co. took just three days to wrap up the proceedings in the second test at Rajeev Gandhi stadium in Hyderabad to claim victory by a massive 10 wickets margin. Earlier West Indies finished their innings on 311/10 in the first innings and in return India was struggling at 152/4 at one stage but a 154 run stand between Rishabh Pant and Ajinkya Rahane brought back India into the game. However on the third day, Windies skipper Jason Holder brought his A game into play and claimed a fifer to dismiss Indian team on 367. Last six batsman could just manage 53 runs for India. With a lead of 56 runs, Indian bowlers came into the game and bundled out West Indies on just 127 runs to set themselves a target of just 72 runs. KL Rahul and Prithvi Shaw completed the formalities and chased down the score in just 16.1 overs to give a comfortable victory to the Indian team. Twitter was all praise for the Indian team and joining the party was the official twitter account of Indian National Congress(INC). 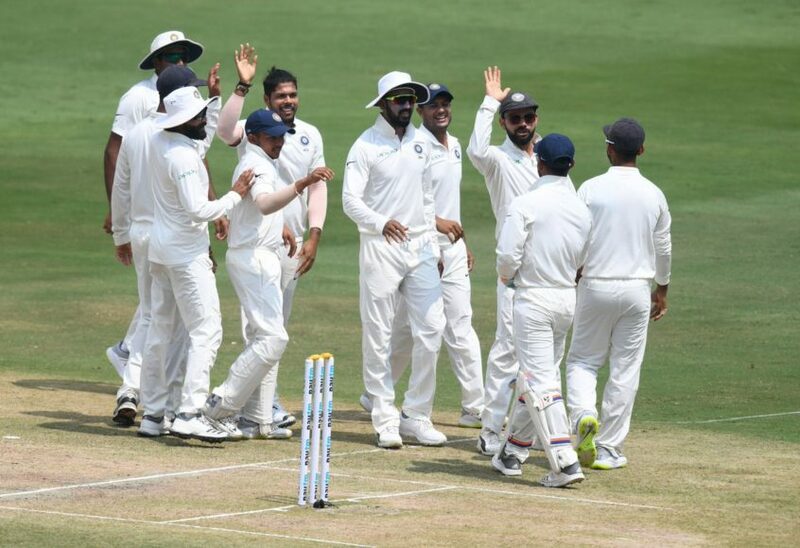 They tweeted a photo of team India celebrating and quoted “Congratulations to the men-in-blue for the 2-0 Test series win against West Indies. #IndvWI,”. The tweet certainly didn’t go well with the fans as they trolled Congress for writing “men-in-blue” despite the team playing in whites. पहले ये तो बता दीजिए की – कितने खिलाड़ी इस तस्वीर में ब्लू दिख रहे हैं? Men in blue???? Divya spanda ji this is test match…..
Keep following Digitalsporty for all the sports and cricket news.